Either we’re trying to improve or expecting correction for SOMETHING. 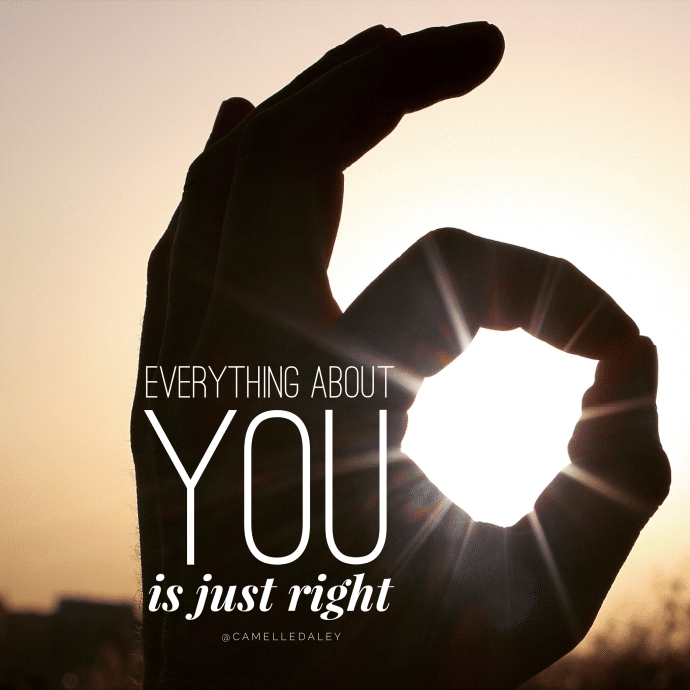 But you have to stop and realise everything is about you is just right. It’s the enemy that wants you to live under constant condemnation. You may not be perfect, but God is taking you through a moment by moment process. Do you believe you’re steps are ordered? If you do, it’s not just your next step, but every step you’ve ever taken was ordered. (Even when you stepped wrong, God brought you back. Now you have a testimony and the anointing on your life is that much richer). The family you were born into was ordered, the time and age you were born into was ordered, where you are now is ordered and where you will be next is ordered. You must believe that you are in the will of God. The desires in your heart that just won’t shift were designed into your being, it’s part of who you are and is a clue to what you need to do. Go with he flow of God and relax in the pleasure of His will. This entry was posted in Blog and tagged Everything about you is just right.